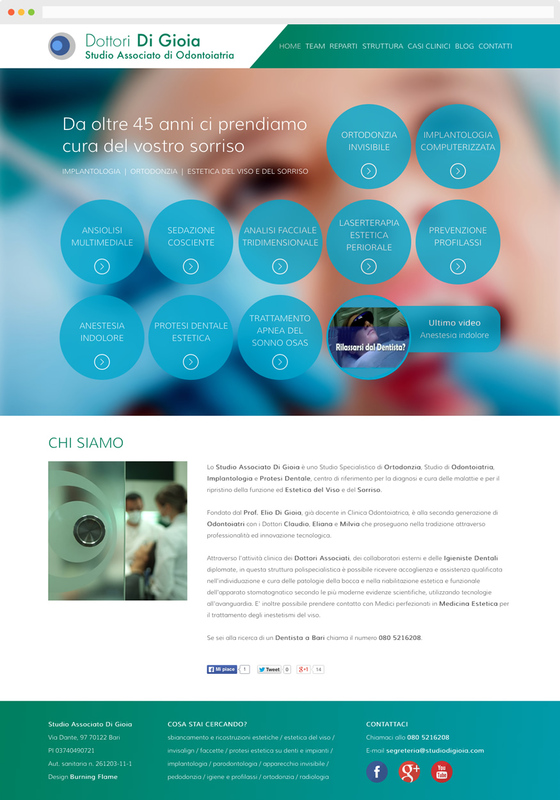 Studio Associato Di Gioia, the leading dental practice of Bari, relies back to us for the development of the company website. The main goal of the customer was to renew the design of the website and extend compatibility to mobile devices. The new website was developed with a responsive layout, which allows an optimal experience from smartphones, tablets and desktop computers, based on Bootstrap CSS framework, modified and customized according to the structural needs of the website. The core operating system is our content management Adminio, allowing the update of corporate blog, departments and clinical cases sections, ensuring a constant improvement of the positioning on search engines.